CALLING ALL ROBERTA ROLLER RABBIT FANS! ROBERTA'S WORLD FAMOUS SAMPLE SALE IS HAPPENING TODAY IN SOUTHAMPTON! Calling all Roberta Roller Rabbit fans! 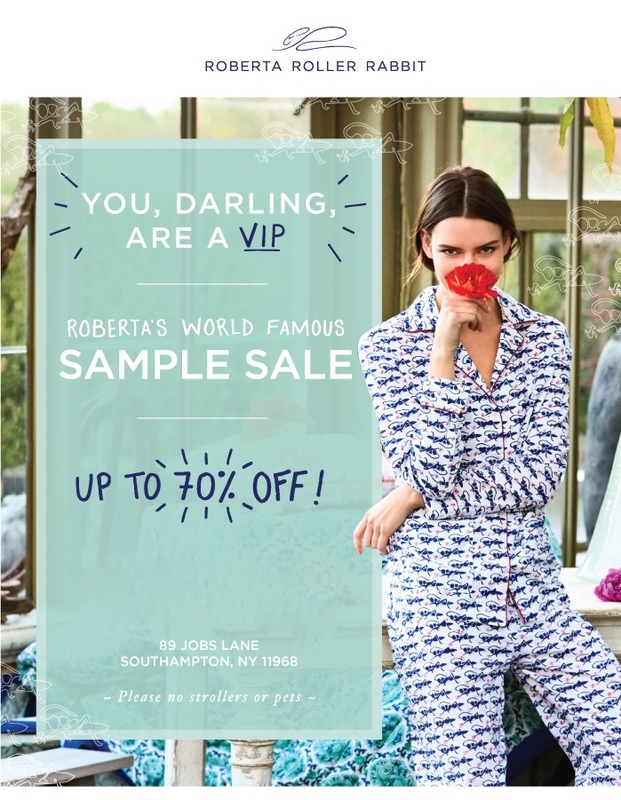 Roberta’s world famous SAMPLE SALE IS HAPPENING TODAY IN SOUTHAMPTON! Caftans, tunics, PJ’s, bedding and more. See you there! Check details in invite for location & time.